Alterna Hemp Seed Shine Shampoo is a fragrant rich daily shampoo now with Alterna's Photozyme Complex to combat color fade helps restore shine and luster to all types of hair while showering it with antioxidants. 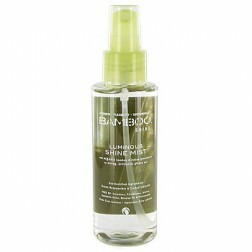 Brightens and adds luster to any hair type. 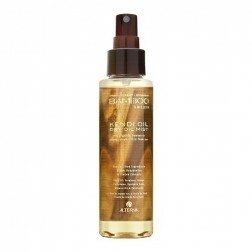 Alterna Hemp: Shine Shampoo 8.5 oz. 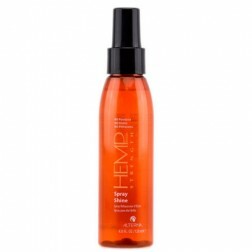 Alterna's Hemp Shine Shampoo is a gentle sulfate free color safe formula infused with sweet orange peel and vitamin C a natural anti-oxidant that protects against damage and dullness. The patented ultra-hydrating hemp seed oil and nutrient-activating enzymetherapy complex helps restore hair's natural brilliance and improve manageability. Formulated with photozyme complex fruit derived enzymes and powerful UV protectants that work together to provide maximum color protection. Massage throughout wet hair and rinse thoroughly. 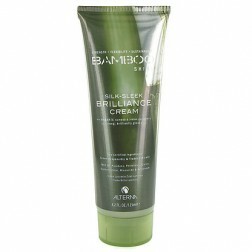 Follow with Alterna Hemp Shine Conditioner for best results. Aqua/Water/Eau, Cocamidopropyl Betaine, Disodium Laureth Sulfosuccinate, Sodium Lauroyl Sarcosinate, Cocamide MEA, PEG-120 Methyl Glucose Dioleate, Disodium Cocoamphodiacetate, Glycerin, Divinyldimethicone/Dimethicone Copolymer, Acrylates/Vinyl Neodecanoate Crosspolymer, Glycol Distearate, Methyl Gluceth-20, Polyquaternium-7, Polyquaternium-10, Lauryl Glucoside, Polyquaternium-44, Propylene Glycol, Polyquaternium-55, Silk Amino Acids, Helianthus Annuus (Sunflower) Seed Oil, C12-13 Pareth-23, Citric Acid, C12-13 Pareth-3, Tetrasodium EDTA, Wasabia Japonica Root Extract, Camellia Sinensis Leaf Extract, Cannabis Sativa Seed Oil, Cucumis Sativus (Cucumber) Fruit Extract, Persea Gratissima (Avocado) Fruit Extract, Vaccinium Macrocarpon (Cranberry) Fruit Extract, Superoxide Dismutase, Citrus Aurantium Dulcis (Orange) Peel Extract, Melanin Silanetriol, Bromelain, Foeniculum Vulgare (Fennel) Seed Extract, Papain, Retinyl Palmitate, Saccharomyces Copper Ferment, Saccharomyces Lysate Ferment, Saccharomyces Zinc Ferment, Lactoferrin, Corn Oligosaccharides, Phospholipids, Acetyl Methionine, Acetyl Serine, Amino Acyl tRNA Synthetase, Copper Lysl Oxidase, Daucus Carota Sativa (Carrot) Root Extract, Methylparaben, Methylchloroisothiazolinone, Methylisothiazolin, Fragrance (Parfum), Limonene.